It is that time of year in Pennsylvania when the economists and mathematicians meet and play with the Common Level Ratio. So what did they do this year and how will it affect property taxes in Reading, PA, and Berks County? Any news relating to property taxes here in Reading, PA and Berks County is always a hot-button issue and garners much attention. 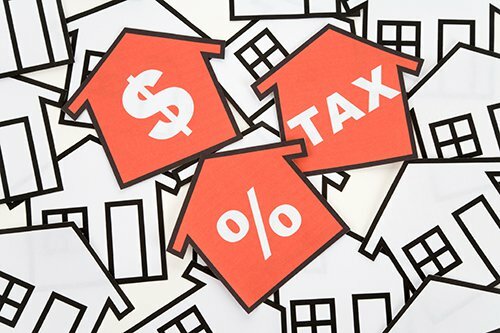 We are aware that all too often news relating to property taxes is bad. That said, I am pleased to report that for the fifth consecutive year the Common Level Ratio has increased! Yes, this is one time when you can use the words increased and taxes in the same sentence, and it is a good thing. If you check out the PA Department of Revenue website and the State Tax Equalization Board (STEB) website, it may give you an idea of what it is, or it could provide you with a raging headache. You can visit my website where I have links available if you desire to research the issue for yourself. Ill attempt to cut through the clutter and simplify the answer. The Common Level Ratio is a mathematical way for Pennsylvania counties to avoid the effort and cost of completing countywide reassessments each year. Counties in PA are evaluated on the strength of their home sales. If the data shows a rise in property value, a more significant gap between the market value and assessed value emerges. The Common Level Ratio is applied to create a fair playing field. While this is a novel way of doing things it does not stop the million dollar home built in 1800 from having lower taxes than the newly constructed $350,000 property in the same school district. According to the economists we are in an improving value market as it relates to property in Berks County, Pennsylvania. This year the Common Level Ratio Factor (CLR Factor) increased to 1.46. Using the 1.46 CLR Factor a home valued at $100,000 would assess for approximately $68,500 or 68.5% of its market value. We arrive at this figure by dividing $100,000 by 1.46 = 68.493%. Last year the CLR Factor was 1.38 or approximately 72.5% of a homes market value. The more your assessment goes down, the less you will pay in property tax. It is always a good thing when you are taxed less on your home. One way to take advantage of the higher CLR Factor is to appeal your property's value assessment. The window to appeal your property taxes in Berks is July 1 through August 15. Be very careful if you decide to look into appealing your property taxes. Property tax appeals can go both ways. When you file the appeal, you are opening up the record. If the appeals board determines your home is under assessed, they can adjust it up. You may find out your property is presently under-assessed even with the higher CLR Factor. You can check your assessment by visiting the Berks County Assessment Office Website. Before filling out that Assessment Appeal Notice consider the present value of your home by either hiring an appraiser or contacting a real estate agent. There will likely be a fee for the valuation service with both. You can also do your best to assess the value of your home with the many available tools on the web. This method is less accurate but can get you started. As described above, take the perceived value of your home and divide that number by 1.46. If the new number is less than your present assessment figure, you may want to consider the appeal. It may sound a bit self-serving, but in my opinion, it is always a good idea to speak with a knowledgeable Realtor before embarking on the assessment journey. Think this is complicated? Me too. It would just be much easier if our legislators simply did away with the whole School Tax thing.